Thanks so much for your question about damaged, "b" grade, or discolored crystals. These crystals are not metaphysically "damaged" or inferior to other crystals in any way. Truthfully I believe that the "damaged" crystals have more powerful energy. 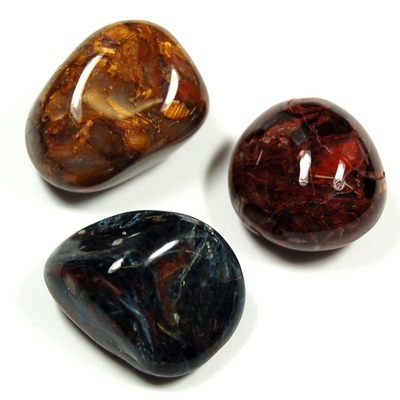 I actually purchased some of the Pietersite that you are referring to and often purchase many of our items at Healing Crystals that have a price reduction due to "damage". These damages are really physical and we price the items lower because the color may be off, there may be chips, etc. Personally I love that we do that because I get a lot of fabulous crystals at excellent prices. Everyone has their preference and some people are drawn to "perfect" crystals that are flawless. I happen to like the ones with chips and odd colorations since it makes them more interesting both physically and metaphysically. Even a "perfect" crystal can have less than perfect energy so if the crystal feels good to you then it will feel good to your customers and the imperfections will be part of it's charm and they will feel the positive energy. I often find that damaged crystals speak to me more loudly. And as I am imperfect also we blend better as well.